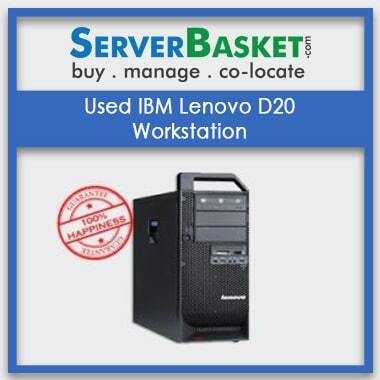 Buy IBM refurbished workstation online from Server Basket for the best discounts. 100% tested and certified workstations are available with us. 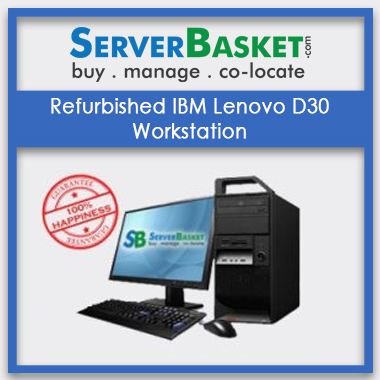 Avail this offer from Server Basket and take the best workstation home at the best price. IBM refurbished workstations deliver higher performance, greater processing power, enthusiastic system reliability, and expandable I/O subsystems. There are numerous advantages of IBM refurbished workstation to opt for. Order today from Server Basket and avail free shipping services. To fulfill the requirement of the software needed by graphic designers and animators, a powerful workstation is required, and IBM refurbished workstation is just one of them. To all the programs that require high-end graphics cards, powerful processor, and larger system memory, the IBM refurbished workstation is equipped with all these capabilities to serve the best. It supports a lot many programs, for example, Photoshop, 3D Max, and ZBrush, etc. With it’s about more than twice a memory of the computers, IBM workstation can empower workflows in fundamental ways. It has the ability to baggage heavier workloads with ease. IBM refurbished workstations often consists of higher bandwidth buses for maximizing data transfer rates. These are designed especially for the usage of all the business purposes compacting with any workloads of the business. IBM refurbished workstations are designed to provide high performance and bear heavier workloads. Design of the IBM refurbished workstation is very composed and neat and tends to have greater performance. With high processing power; the workstation is configured with more processors, i.e., more powerful processors are embedded within the minimally crafted spacious design, the IBM refurbished workstation deliver best-in-class performances. IBM refurbished workstation is fitted with numerous external ports and connectors for accessing various I/O devices with ease. One can connect multiple devices with the use of external ports. Our support team will provide a complete detailed guide on the connection of the ports, i.e., which connection is used for which devices. All the parts equipped within the IBM refurbished workstation, are all certified IBM parts. There are no faulty practices in our business, and we provide only genuine products to our customers which undergo various levels of testing before shipping. On all the certified IBM parts, customers can avail a minimal warranty in case of any failure or repair on the parts. Delivery option is available throughout India, to every metropolitan city, and to every remote location. We deliver your IBM refurbished workstation on time without any hassle to give you the best experience you seek. Therefore, Server Basket strives to give availability and accessibility to anyone and everyone. We provide 90 days trusted warranty from the day of purchase. The warranty card can be accessed for any issues occurred, and avail instant services from Server Basket any time before 90 days from the date of purchase. Warranty support is a key for the trust that is built on us, and which makes customers rely on Server Basket for its genuine and satisfactory services.